Standing under a canopy of trees with your family and friends smiling as they watch you exchange your vows is a dream come true. 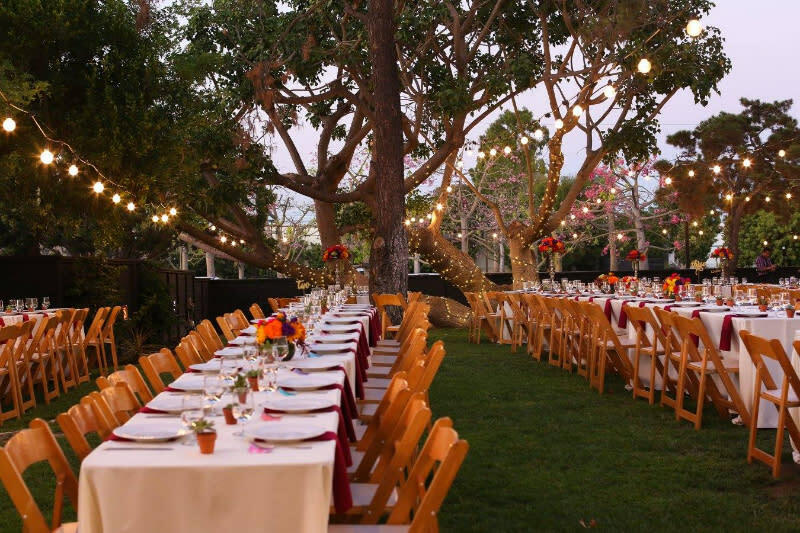 These beautiful outdoor venues in Irvine are perfect for a wedding ceremony and reception. First photo courtesy of Oak Creek Golf Club. This outdoor venue with natural foliage is a beautiful and unique place to hold a wedding ceremony and reception. This venue is rented out to only one wedding per day. 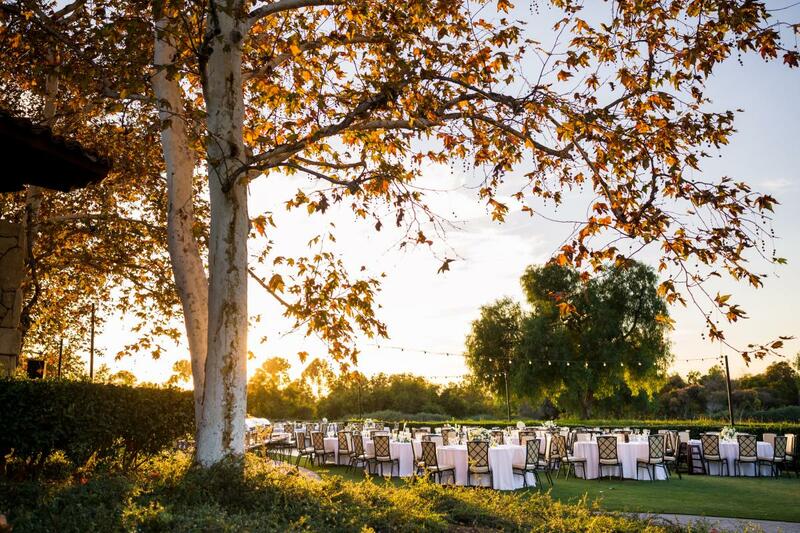 With vendor flexibility and a fair price point for an Orange County wedding, the Eureka Building and grounds is a creative space for an Irvine wedding. 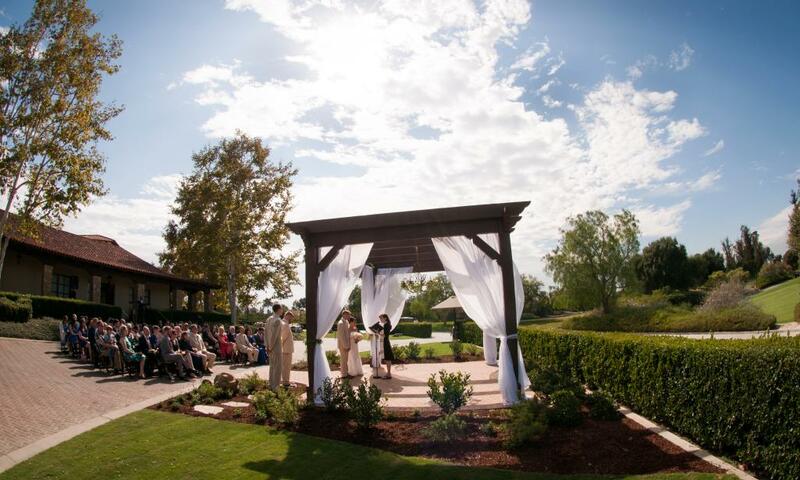 The lush and expansive grounds of the Oak Creek Golf Club are a beautiful location for a wedding ceremony. The authentic Spanish architecture and rustic stone terraces lend beauty to the occasion. Private terraces and the Heritage Room can accommodate up to 200 guests. Set back in the rolling canyons of farmland along a picket-lined road, lies the beautiful Strawberry Farms Golf Course. Say, "I Do" in a Garden Ceremony under a beautiful wedding arch. A Big Red Barn is a perfect location for an indoor reception under strings of lights, able to accommodate up to 250 people. Brand new for summer 2018 is this beautiful outdoor ceremony space under mature trees at UCI. 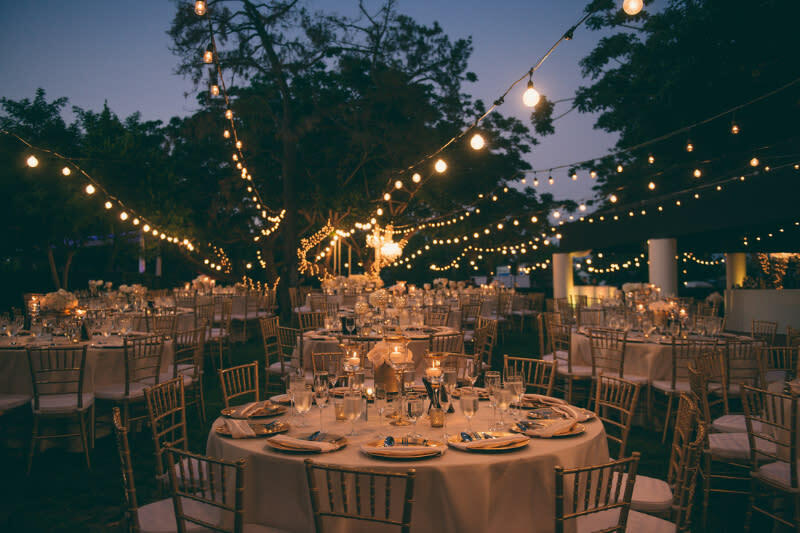 A grand ballroom, patio & cocktail area, and a courtyard for ceremonies offer a luxurious and private setting for a celebration. All-inclusive packages at affordable prices make this a location to enjoy a relatively stress-free wedding.